The luxury watch brand JeanRichard is named after Daniel JeanRichard, a legendary figure in Haute Horlogerie, who is called the father of the watchmaking industry in the Swiss canton Neuchatel. According to the legend, the story of JeanRichard dates back to 1679 when a 14-year-old boy with an inventive and curious mind but with no experience in watchmaking managed to repair the pocket watch given to him by an English merchant. Moreover, the boy, whose name was Daniel JeanRichard, carefully studied the mechanism and eventually reproduced it piece by piece. In 1681, he successfully created his first watch that was also the very first timepiece in the region. The JeanRichard story continued in 1705 when Daniel JeanRichard moved from his native village Le Sentier to Le Locle, where he established his first workshop. It was the beginning of the watchmaking industry in Neuchatel, which marked the development of the most important economic sector of the country. Daniel JeanRichard died in 1741, but his legacy remains centuries later. He was truly a unique person who opened up new horizons. Various mechanisms, timepieces, and tools related to the production of high-quality watches were invented by this talented man. No wonder, Le Locle still remembers its hero, inviting everyone to see a statue of young JeanRichard in the center of the town. 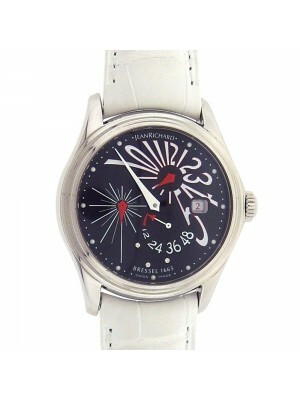 The old luxury watch brand was returned to life in 1988 by Luigi Macaluso, who also owned Girard-Perregaux. He invested a huge amount of money into new JeanRichard watches that, however, were still created according to the values of Daniel JeanRichard. Today, the company is directed by Massimo Macaluso, the son of Luigi Macaluso who passed away in 2010. Since the JeanRichard brand revival, many new collections have been created, with exquisite timepieces designed for all those who value Swiss quality, exceptional style, and superb craftsmanship. One of them is the 1681. This collection of stylish yet timeless luxury watches inspired by the first timepiece created by Daniel JeanRichard in the late 17th century is an embodiment of refined and elegant lifestyle. The 1681 models are available in stainless steel and 18k pink gold to match any taste. Among other popular models, especially when it comes to pre-owned JeanRichard watches, are the Aeroscope, the Aquascope, and the Terrascope. Designed to meet the needs of those who wish to combine endurance and character, performance and style, these sports timepieces are just the perfect choice for people leading an active lifestyle. As for the ladies watches, JeanRichard boasts such fantastic models as the Milady and the Bressel, both available in stainless steel and 18k gold. Equipped with a variety of complications and decorated with mother-of-pearl, diamonds, sapphires, turquoise, and other precious and semi-precious stones, these watches are not in vain called Haute Horlogerie masterpieces. 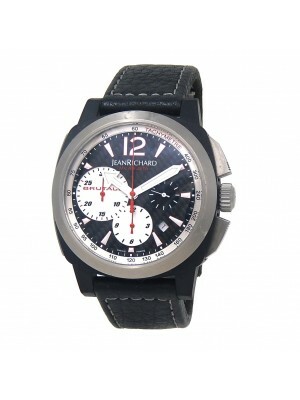 These days, JeanRichard new and used watches are popular among both men and women. Moreover, this brand is preferred by such sports stars as Nik Wallenda, Ian Wright, and Ollie Millroy, which only proves the fact that its timepieces are indeed of the highest quality.